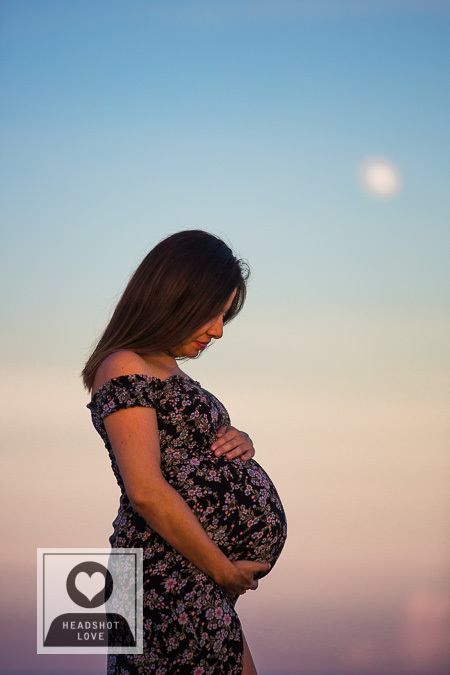 But we didn’t have to worry about that the day I photographed Ximena. 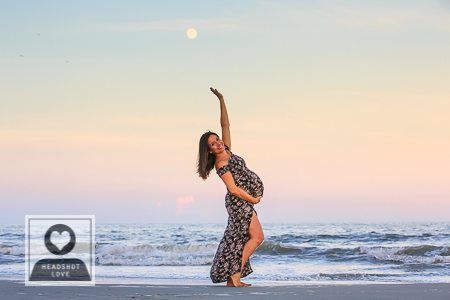 The ocean waited for us with a calm and loving presence, the moon slowly rising above the horizon as the sun was getting sleepy and we were able to dip our toes and our bodies in the joyful and calm waters of the present moment. 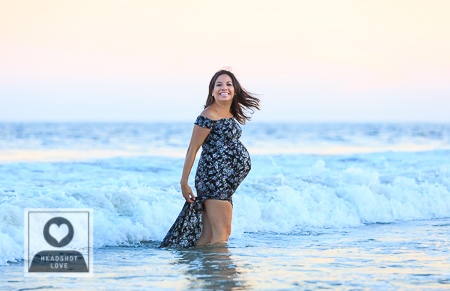 We took a lot of beautiful maternity photos at the beach and as we were getting ready to wrap things up, I dared Ximena to walk deeper into the water. 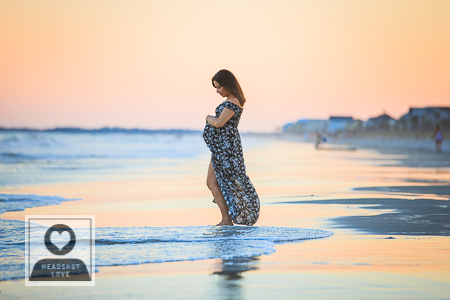 I had never taken maternity photos at the beach while the subject was in deeper water and I felt courageous enough to go in myself while being completely mindful of protecting my camera. 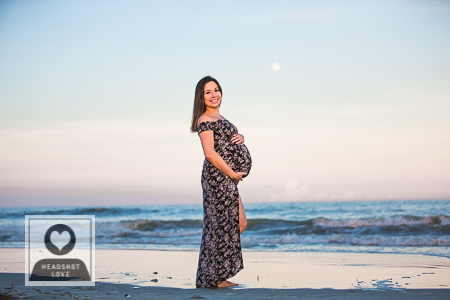 It was obvious as soon as Ximena walked deeper into the ocean that she was having a wonderful time. 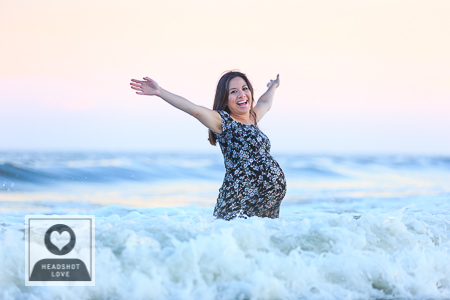 She was able to relax more, let go, enjoy the warm water and bless me with the most pure and beautiful display of joy! 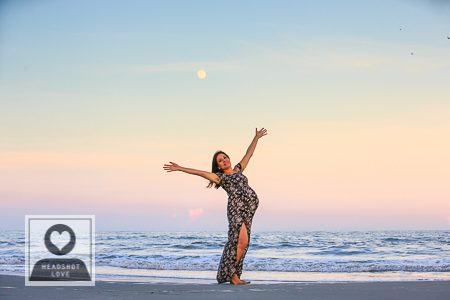 Seeing her so happy was such a gift for me, not to mention the photographs that resulted! Ximena later looked into the back of my camera and couldn’t believe the photos: “It looks like the water is photo-shopped”. No Photoshop here what so ever. 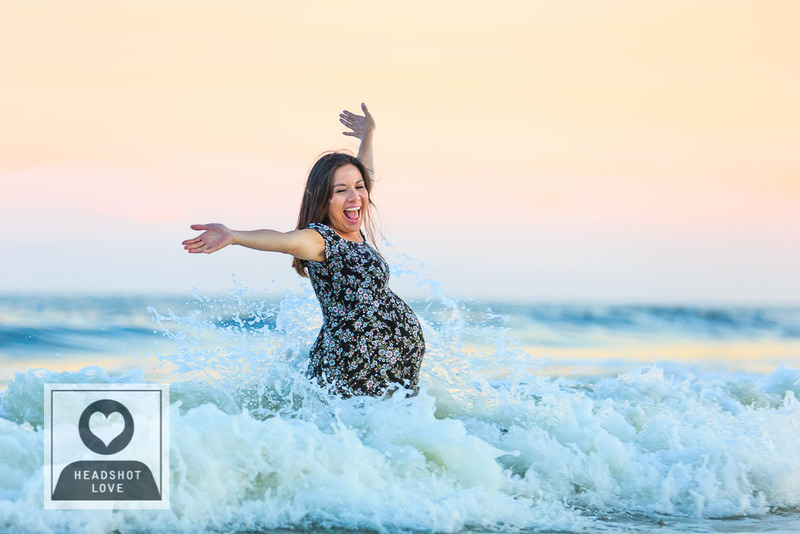 Just a free, happy, woman and her beautiful belly, enjoying the ocean! 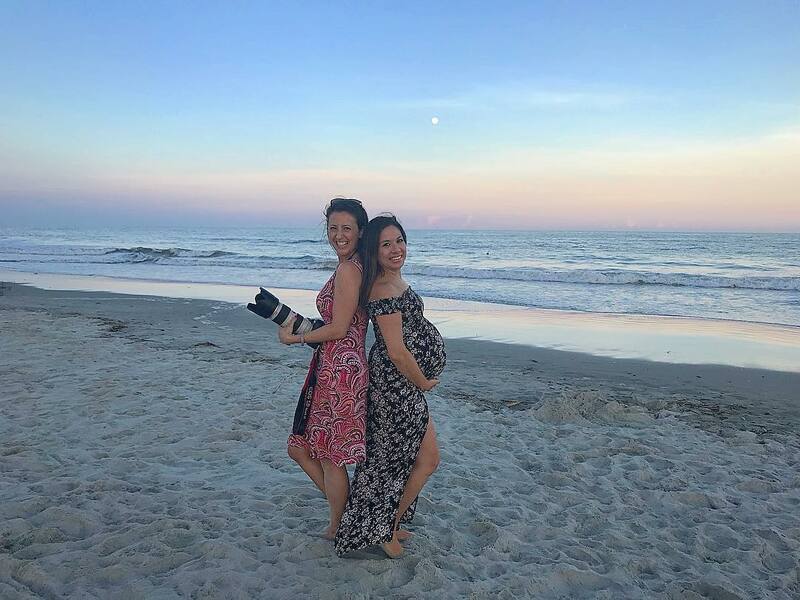 Here is a photo of the two of us (taken with her cellphone), back to back, proud of the things we are both growing: me- my skills in photography, she- a beautiful baby boy! 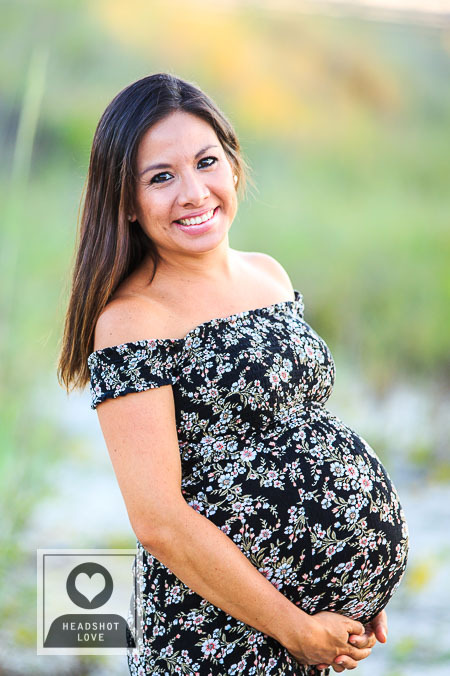 🙂 It was a pure honor to photograph this beautiful woman and friend, who happens to also be a fellow photographer. 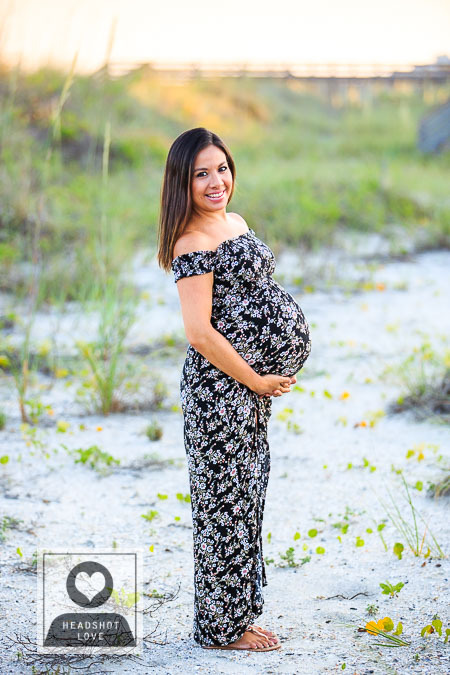 Click here to see some of her work. 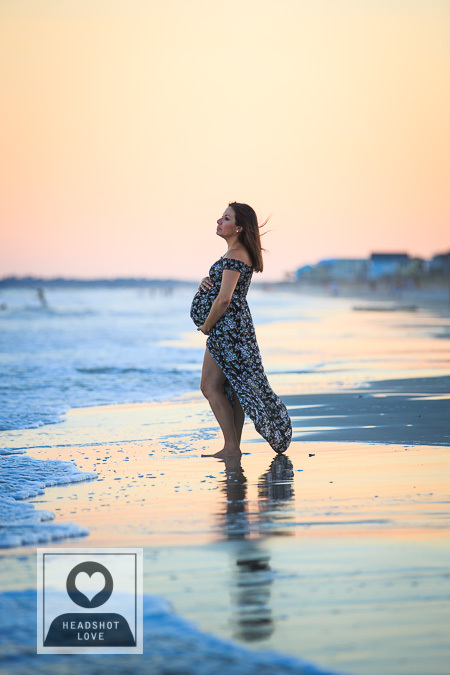 Click here to see more examples of maternity photo sessions in Charleston SC. 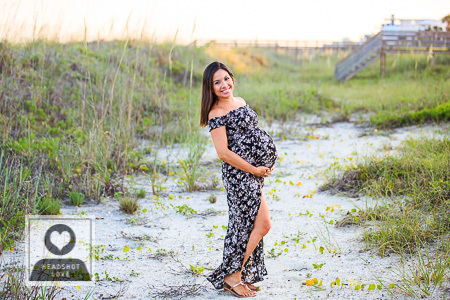 Contact Diana to schedule your own maternity session.